Good quality Hello you all! Just recieved my off-set front sprocket for my Z50. It works like a charm as i have the kepspeed wide swingarm. The quality feels nice and it mounts up perfectly with my 12 inch wheels that i got from a Honda grom. Just wished that they got bigger sizes than 17. Maybe they will manufacture bigger in the end. 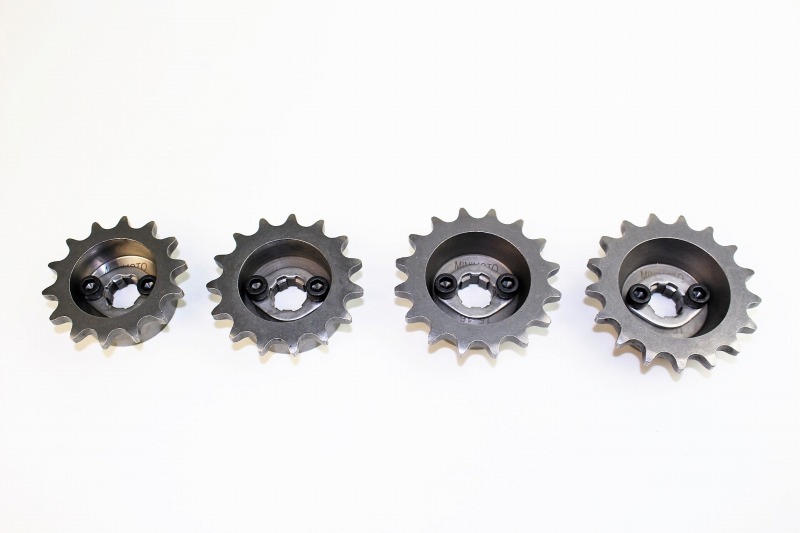 I will give the sprocket a big thumbs up for the price and the quality! Good quality Hello you all! Just recieved my minimoto mounting rubbers and bushings. First of all the quality is good for the money they cost. Though i dont know how they will last in the long run. Hope the rubber doesn't harden with time. They mount up very good. The rubber feels like it is high quality. I like that you get the whole setup for the cheap price they cost. It certaintly meet up with my demands. Since care and cleaning of a chain will become easy if there is this, it is a recommend. Since care and cleaning of a chain will become easy if there is this, it is a recommend. My opinion about buying MONKEY SPORTSTER Fuel Tank. I have bought this tank for for install it on my Honda Jazz 50 for set it instead of factory installed. You can't imagine how I was happy when have seen a result. It's perfect! Perfect shape and quality! During buying I saw no problem. I do not need a support help because everything were clear for me. Easy buy , easy get, easy use. Parcel came very fast. One week. I very glad of purchasing process. Thanks Web bike team! PS. I going to buy second and third for my Magna 50 and Monkey Z50, for to be compleatly happy. Minimoto master cylinder The Minimoto master cylinder seems like a pretty nice product especially for the money. 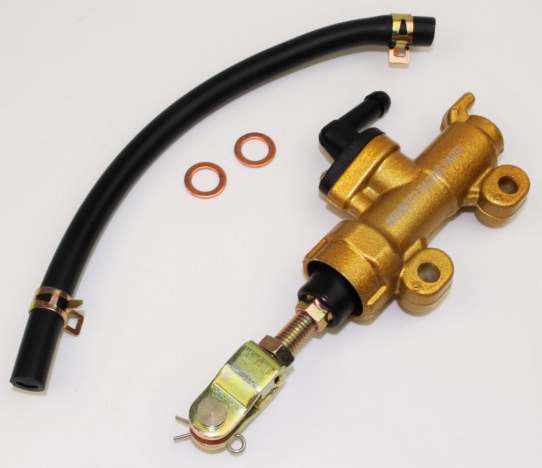 It looks identical to the Nissin master cylinder at about a third of the cost. 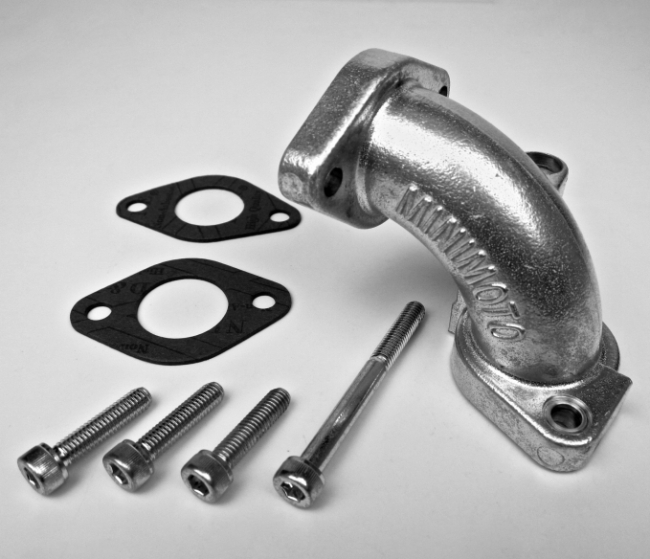 Carburetor pipe This carburetor is made of aluminum alloy, the texture is very good, the only regret is that it does not fit my carburetor, because it and the carburetor interface is 48 mm, my carburetor is 45 mm, it does not fit, it is a pity. Replacement wire harness for Honda Z50 Here is a great replacement wire harness for my 1976 Honda Z50. Fitted perfect with all the correct conections. See picture with harness against frame and all other parts fitted to it perfect.